Juvéderm® ULTRA is an advanced, cohesive, 3D hyaluronic acid matrix dermal filler with local anaesthetic, manufactured by Allergan; the makers of Botox® / Vistabel® and Juvéderm® VOLUMA. 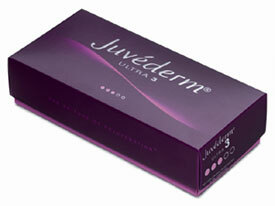 Juvéderm® ULTRA was launched in the UK in February 2008. Cross-linked hyaluronic acid plus lidocaine, (also called lignocaine in the UK). 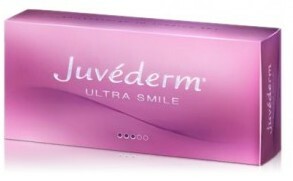 Juvéderm® ULTRA contains non-animal hyaluronic acid with the addition of 0.3% lidocaine, local anaesthetic to provide more comfort both during and after injection. However, in the case of lip augmentation it may still be recommended that you have a topical anaesthetic or dental nerve block in order to ensure a pain free treatment of this sensitive area. Medically trained practitioners – ie Surgeons, Doctors, Dentists & Nurses. This depends on the area treated and how much is required, and the practitioner doing the treatment, but price ranges are in the region of £275+ per pack of Juvéderm® ULTRA. (1) Comparison of Injection Comfort and Ease with Juvéderm ULTRA 3 and Surgiderm 30 XP. Phillip Levy, Hervé Raspaldo, Koenrad De Boulle. Accepted as a poster for IMCAS Jan 9-12, 2008, Paris. Click for ALL Juvéderm ® ULTRA clinics in the UK & Ireland registered and verified by Consulting Room.